Delayed Monarch Departure? Get a payout of up to £510 per person. Monarch Airline Delays: Are They Common? Monarch Airlines ceased operating as of 2 October 2017. Inevitably, there will be postponed departures and annoyed travellers as a result; because of this AirClaims can help you get a payout (potentially as much as £510 per passenger), click below to get our specialist help ASAP! This British-based carrier operates over 70 chartered flights to the US, Europe, India and Africa. They also have 30 flights to Mediterranean destinations including Cyprus and Egypt. Founded in 1968, today Monarch Airlines has over 3,000 employees, 45 aircraft and a customer base of roughly seven million passengers annually. Flights operate from 60 airports including London Gatwick, Manchester Airport and London Luton Airport. Check out their website for a complete route map. Monarch is considered a leisure airline. Their busiest time of year is the summer. This is when travellers want to holiday in Faro, Alicante and other popular Mediterranean destinations. Another favourite summertime destination is the volcanic landscape of the Canaries. Monarch publicly expresses a solid commitment to customer comfort, including their recent announcement to ban reclining seats. Other relatively recent additions to their fleet include extra leg room, a redesigned cabin and updated technology for all facilities. Monarch is considered a leisure airline. This means they focus on providing multiple cheap flights to popular destinations. At these low price points, however, passengers aren’t going to find many frills. There is a frequent flier plan, but not much else beyond that in terms of bells and whistles. Passengers don’t particularly expect luxury with Monarch Airways. They want low cost and safe, reliable flights. On-time performance is generally one of the most important issues for Monarch customers.Generally speaking, Monarch Air is reliably on-time. However, Monarch delays do occur, especially during the summer travel boom. 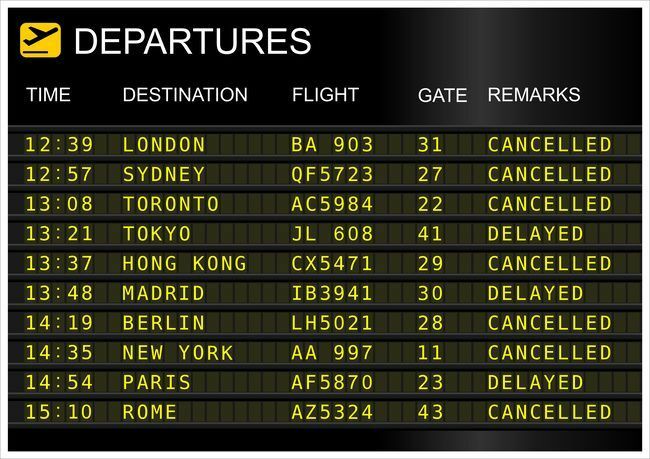 Fortunately, passengers can often find financial recourse if a flight delay has impacted their travel. Click the link below to learn more about potential compensation specific to your situation.